Explore the mysterious and sinister Dark Arts with this collectible tiny art book featuring facts and art from the Harry Potter films. Go behind-the-scenes of the beloved Harry Potter films and learn all about the Dark Arts of the Wizarding World. From basic curses and jinxes to Dark creatures like the Basilisk to the Dark Lord himself, this fascinating little book is filled with fun facts and unique insights on the darker side of the Harry Potter films, illustrated by concept art and unit photography from the set! 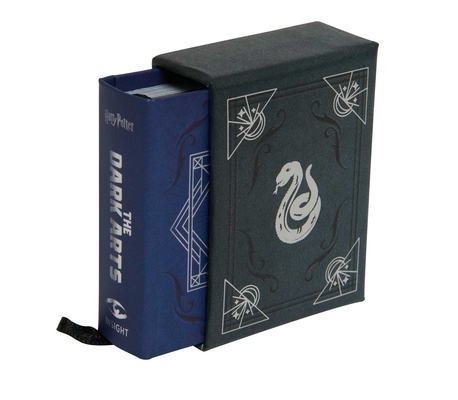 One of a new line of collectible pocket-size art books on the Harry Potter films, this book on the Dark Arts features exciting artwork and behind-the-scenes facts in a fun, readable miniature size. Fans can choose their favorites or collect them all!